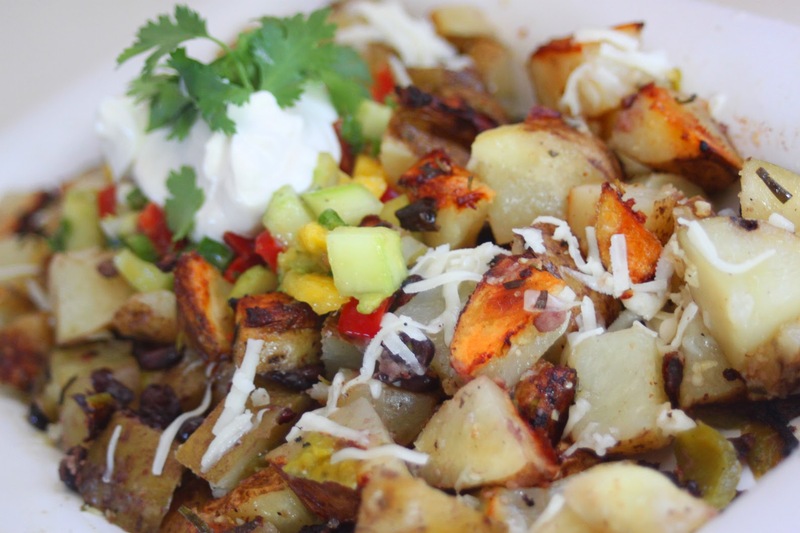 Healthy, Busy Mom: Celebrate Cinco de Mayo: Grilled Papas Arrechas! Celebrate Cinco de Mayo: Grilled Papas Arrechas! It's Cinco de Mayo, which means it's almost summer, and summer reminds me of vacations in San Diego, which reminds me of Mexican Food. I try to duplicate the amazing Mexican Food I eat in San Diego after I get home, but there's just something about those little hole-in-the wall restaurants that just can't be copied. It may the the animal lard they cook with, the three month old oil they fry things in, or maybe just a touch of the Tijuana water. Whatever it is, I don't want to know, but I sure do want to eat it! Today's recipe is a close second to one of my favorite breakfast restaurants. Instead of boiling and then frying the potatoes in butter, I sealed mine into a foil envelope with all the spices, veggies and just a bit of olive oil, and then I threw them on the grill. These are simple and delicious, spicy and savory. They're great with barbequed chicken or steak, and the left overs are PERFECT with some scrambled eggs and salsa the next day! In a large mixing bowl, combine all the ingredients and mix well until combined. Place two large sheets of aluminum foil onto a flat surface. Divide the potato mixture in half and place them into the center of each of the foil sheets. Enclose the potatoes by first folding the foil lengthwise and folding over several times. Fold the ends over into the center, creating a tight envelope. Place both envelopes on the grill for about 45 minutes, turning over about half way through. Remove from the heat and allow them to cool for a few minutes before unfolding. Transfer to a serving dish (be sure to scrape the foil for all the good stuff!). Top with your favorite salsa, sour cream and cilantro. Serve immediately.